Marian Rivera will be giving birth to her second child with Dingdong Dantes any moment now. Dingdong revealed last month that Marian’s due month is April. Nay Lolit Solis recently posted on her Instagram account about Marian’s dream of having a lot of children. She received a reply from Marian, She said her dream is to be a mother of many children. “Salamat Nanay… Hahahaha. Yan talaga pangarap ko maging “Nanay” ng maraming anak!” She said. Everyone is excited for Marian’s due date. Fans and netizens are excited to find out the official name of the baby. Since they have not announce their baby boy’ name yet. Marian admitted that her second pregnancy is much harder than the first time she was pregnant with her daughter Zia. But Marian can easily lost weight after giving birth. While Marian is waiting for the birth of her second child, she is keeping herself busy with her garden. It seem like gardening is Marian’s new hobby. 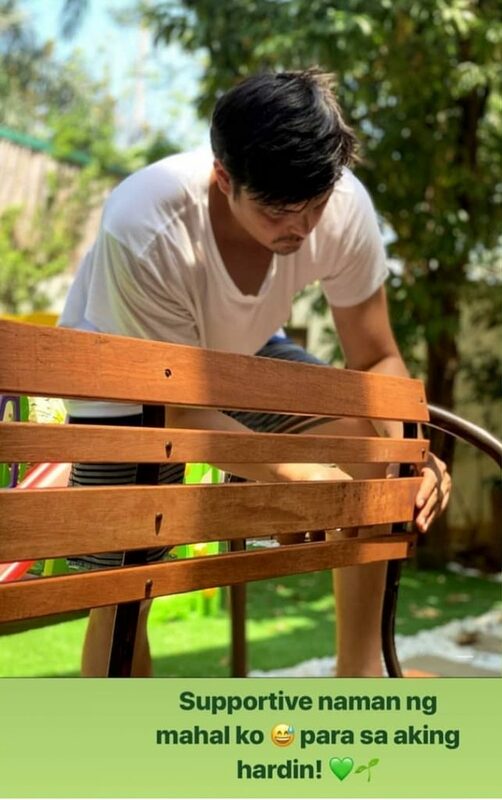 Marian shared some photos of her husband Dingdong helping his wife with her garden. Marian said Dingdong is very supportive of her garden. 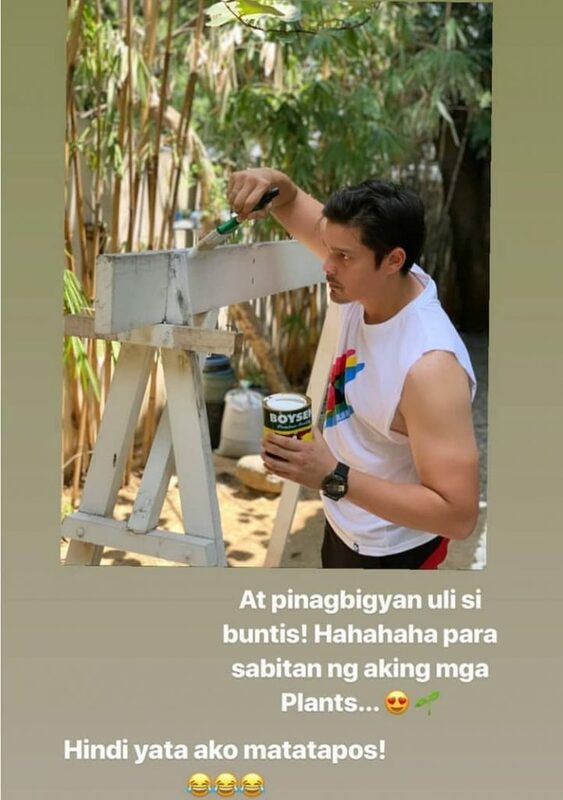 In another photo Dingdong was seen painting Marian’s plants holder. 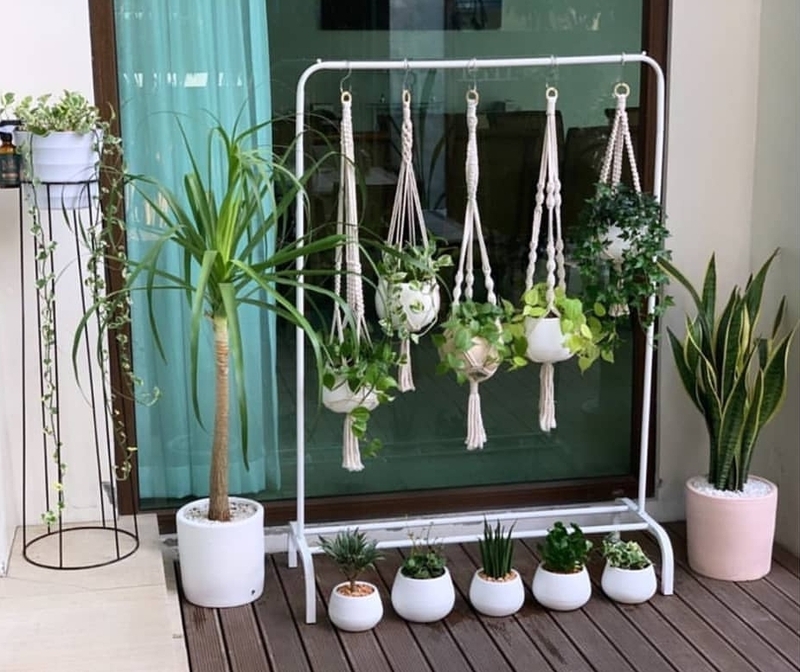 Marian Rivera shared some photos of her plants. They are so beautiful.